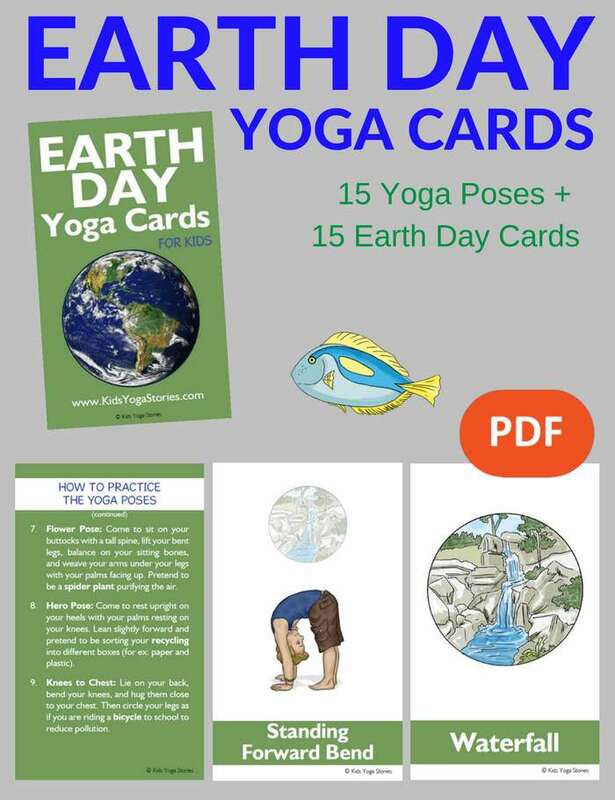 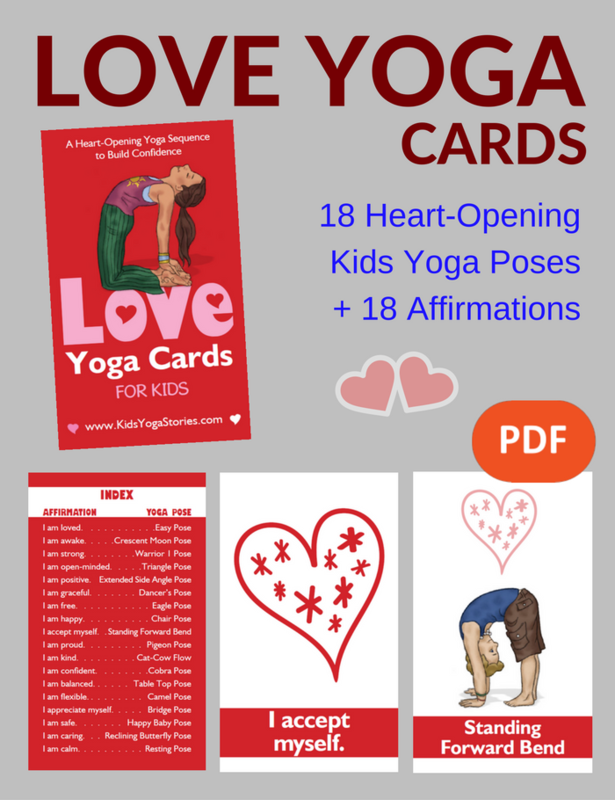 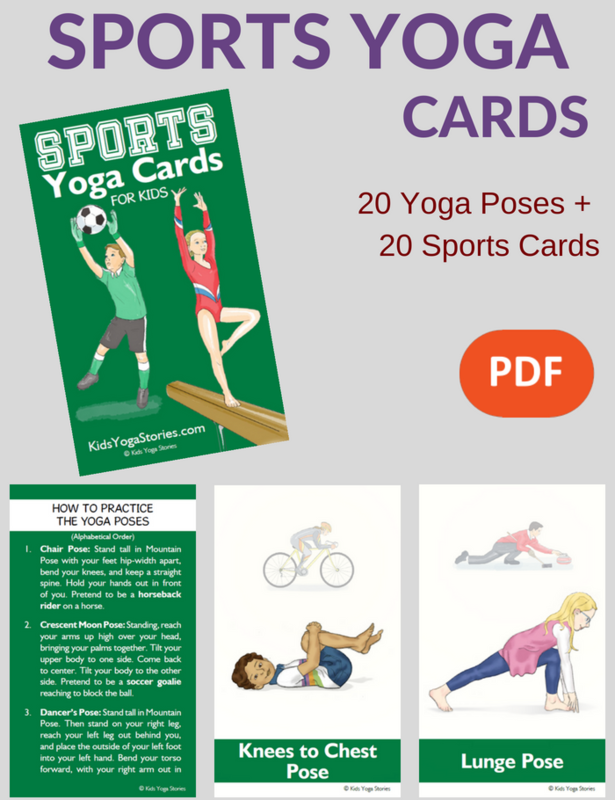 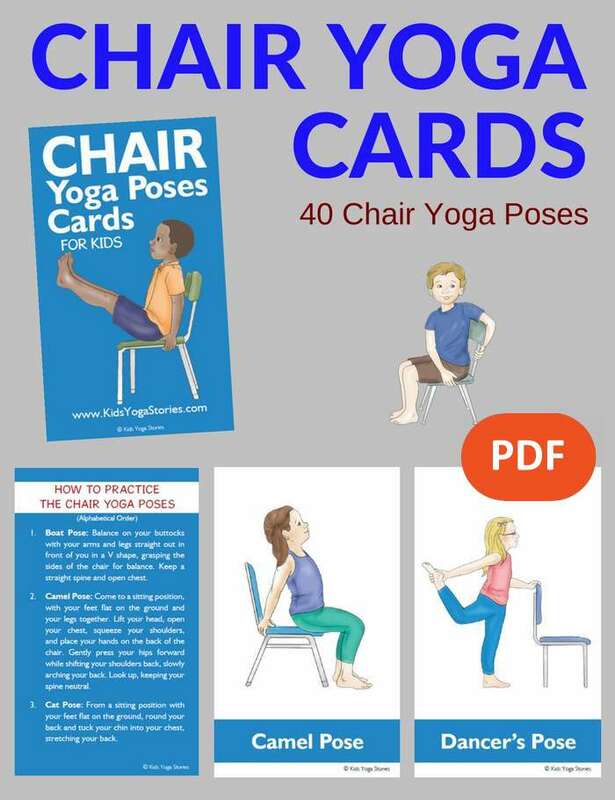 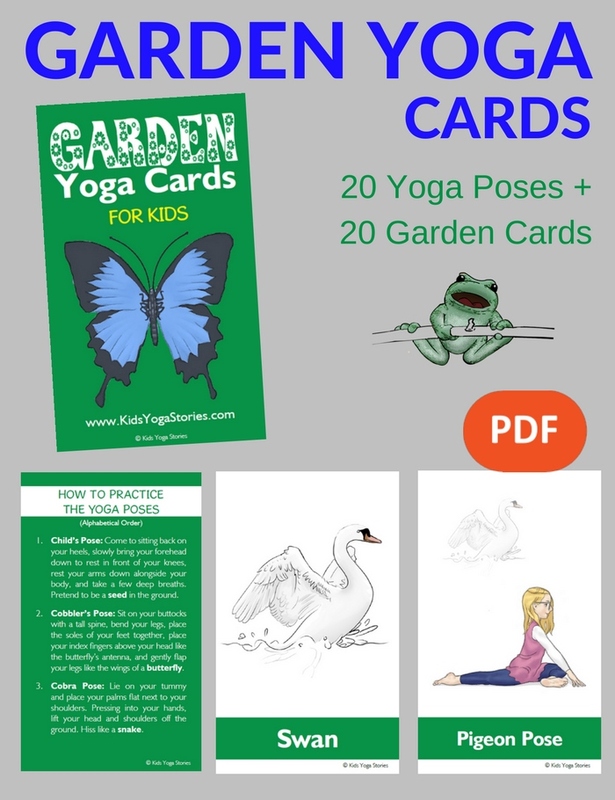 Are you looking for printable yoga cards for kids to use in your classroom, studio, or home? 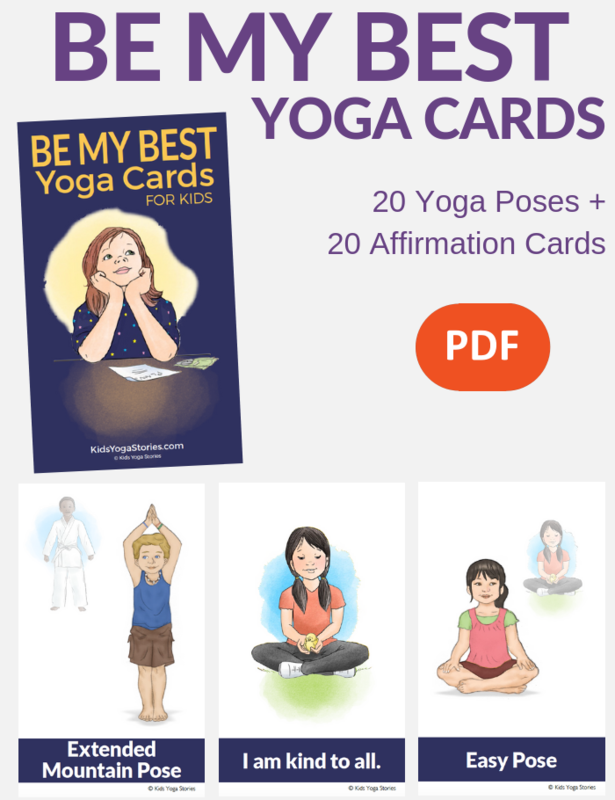 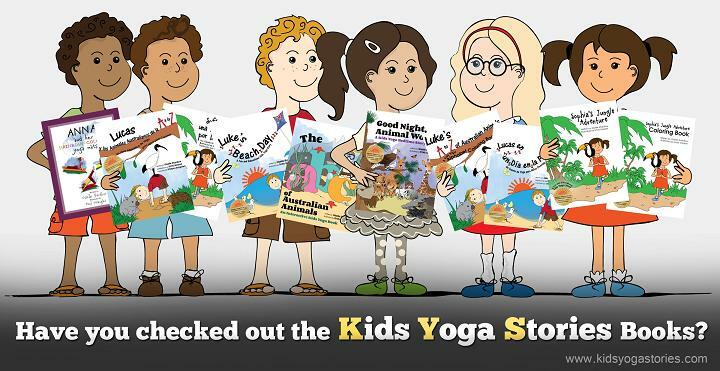 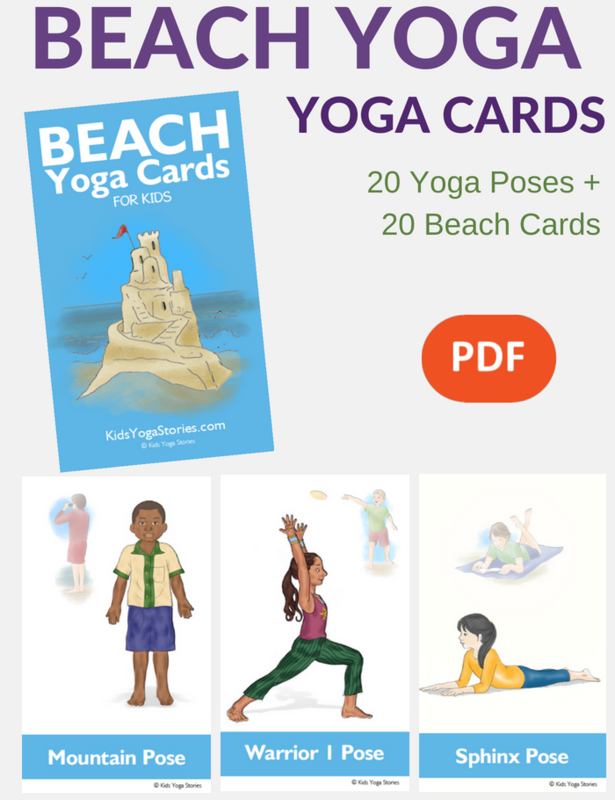 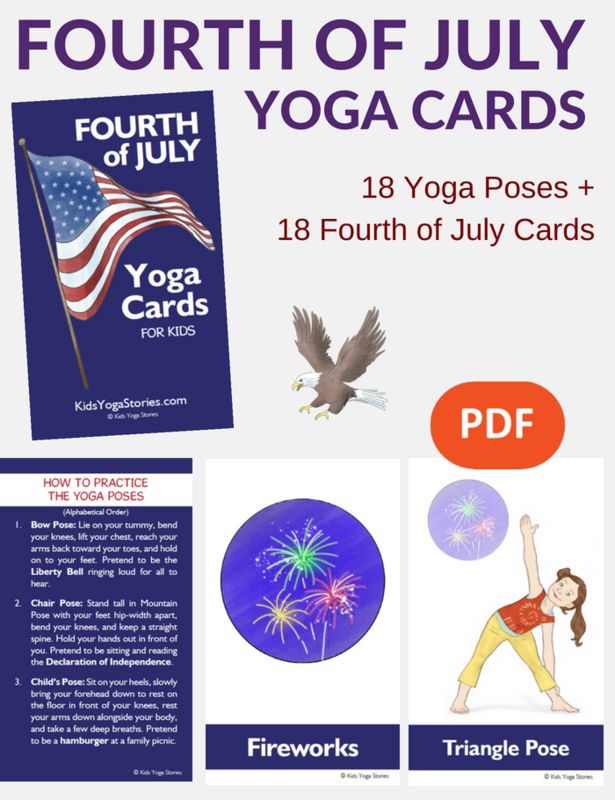 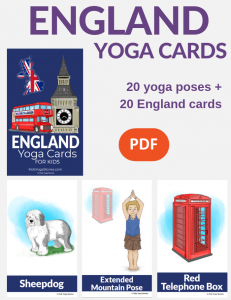 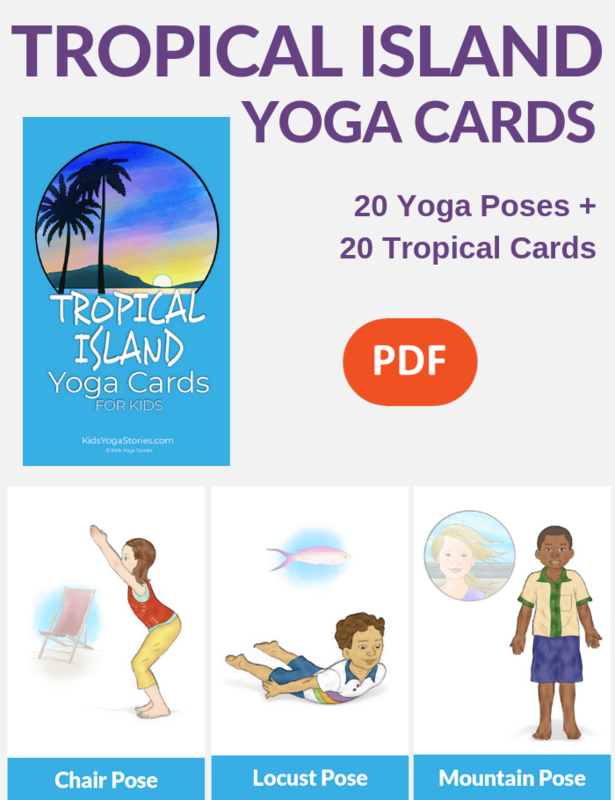 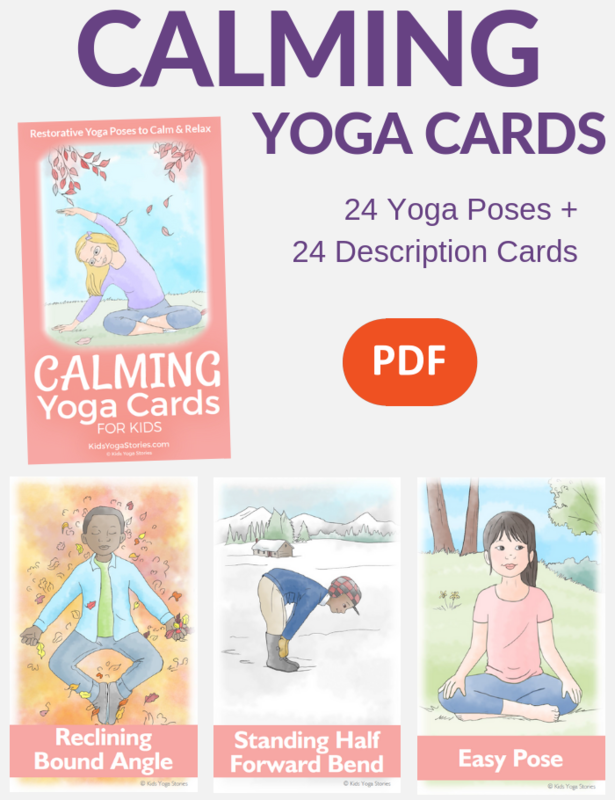 Over the years, customers have been asking for digital yoga cards to either print out in a size that works for their learning environment or use on devices for kids yoga ideas on the go. 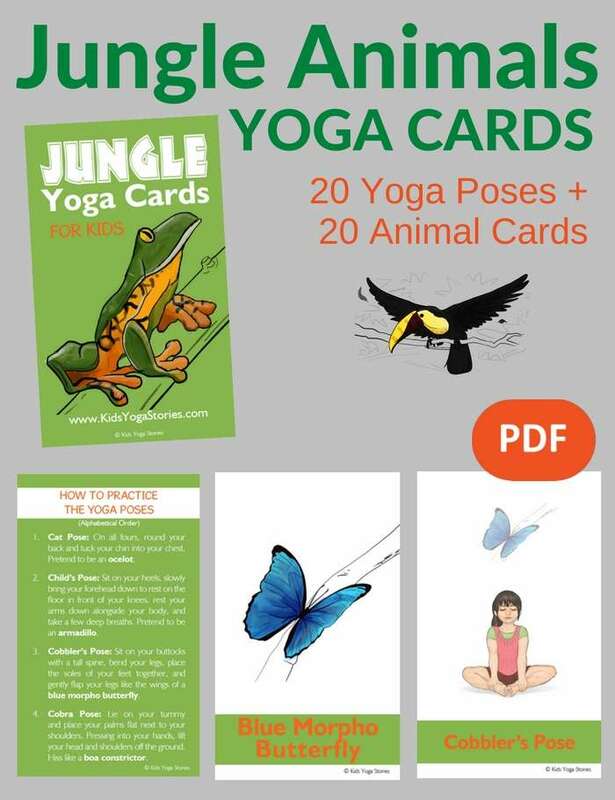 With that feedback in mind, we’ll be releasing a new pack of digital yoga cards each month based on various themes (for example: desert, animals, garden, feelings, and jungle). 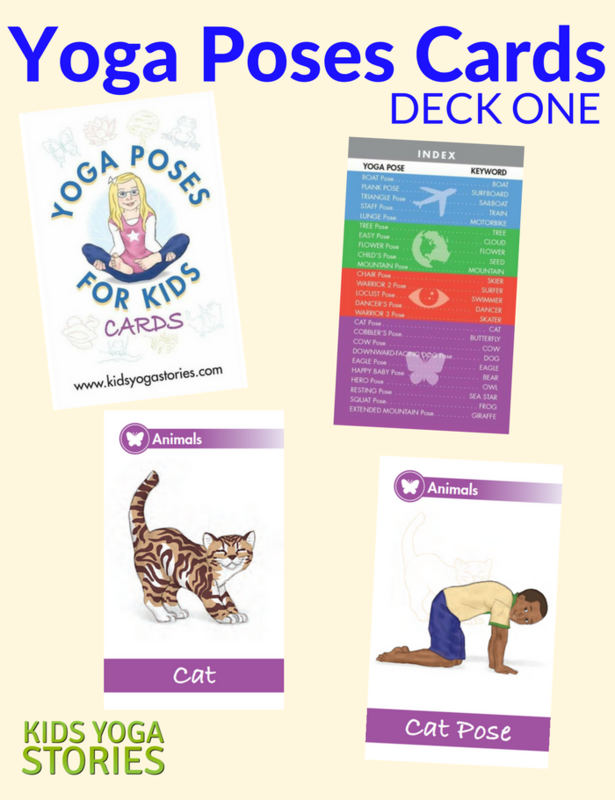 Each deck of digital yoga cards includes an Index Card, Pose Instructions, Yoga Pose Cards, and Matching Keyword Cards. 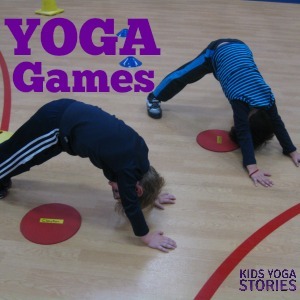 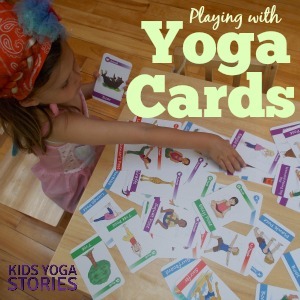 Children can play independently by matching the yoga pose + keyword cards, practicing the yoga poses, or creating their own yoga sequences. 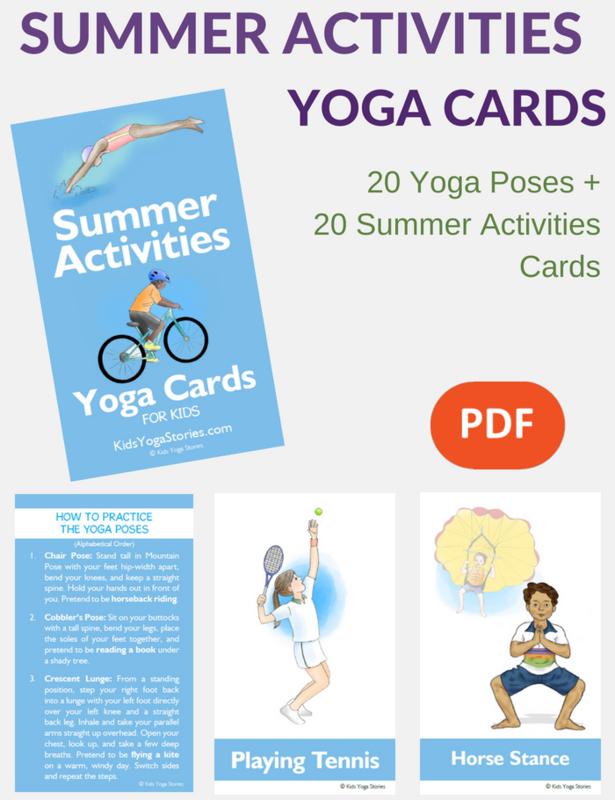 Learn, be active, and have fun! 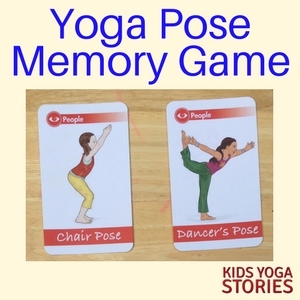 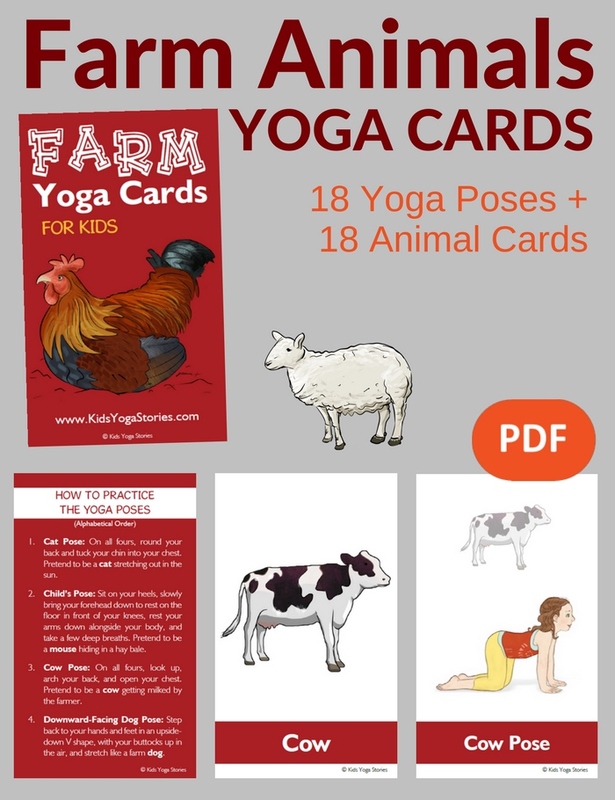 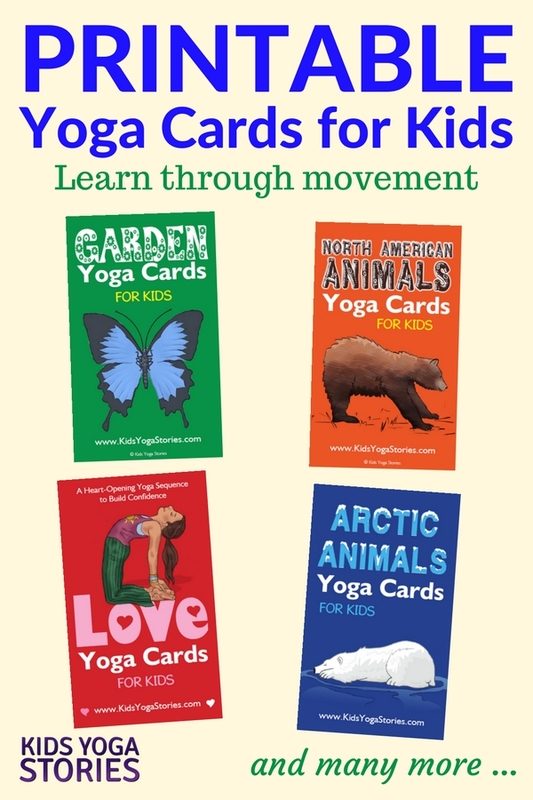 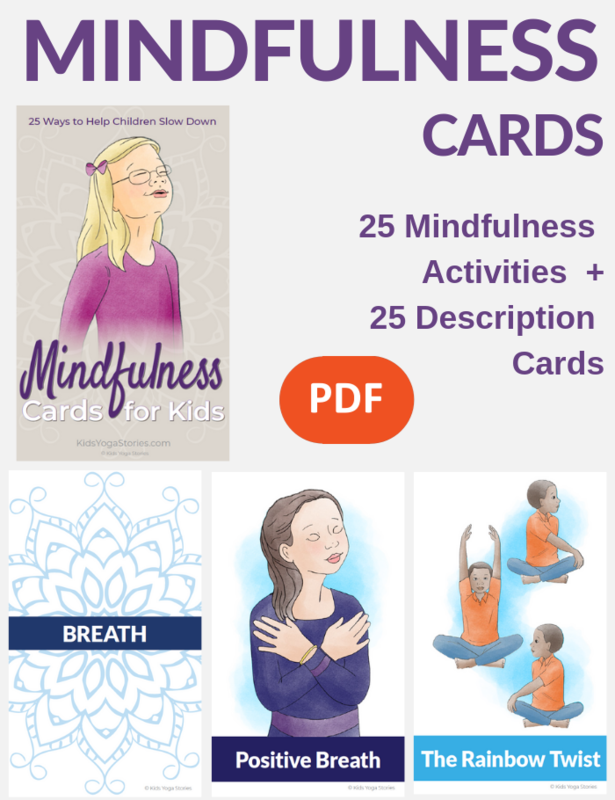 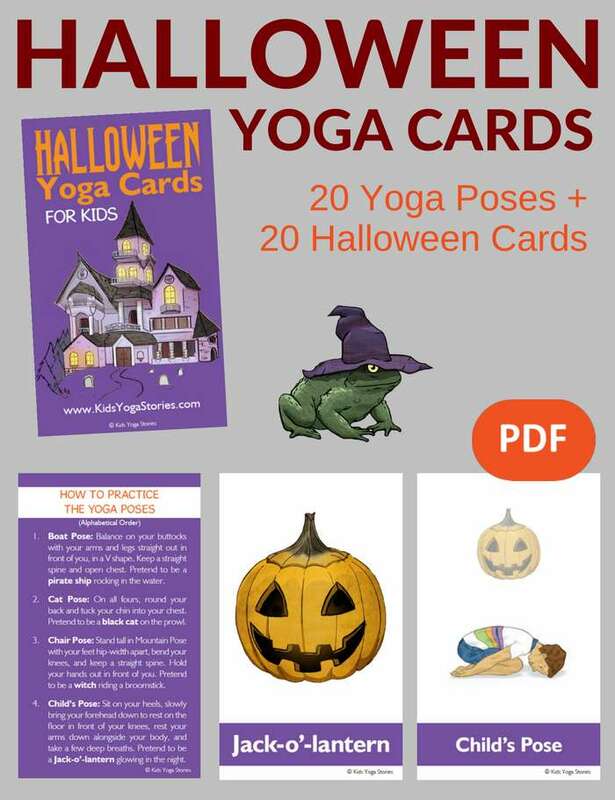 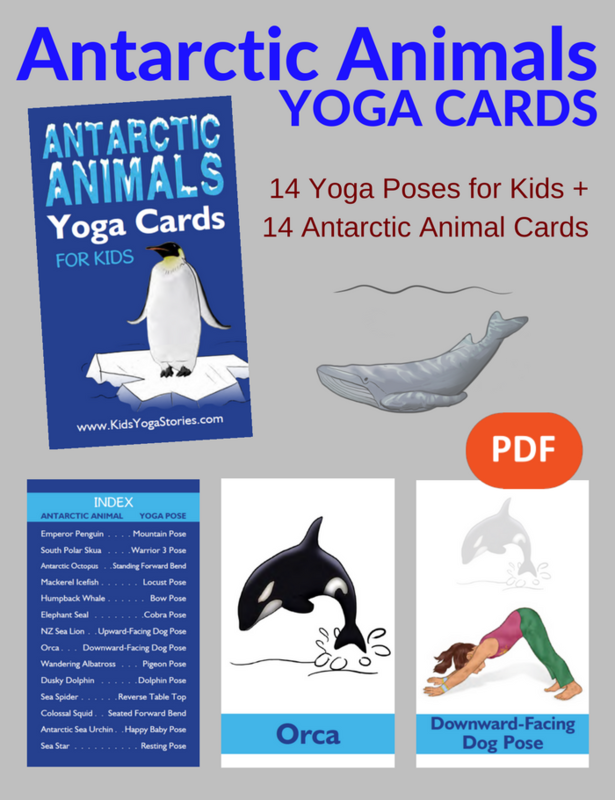 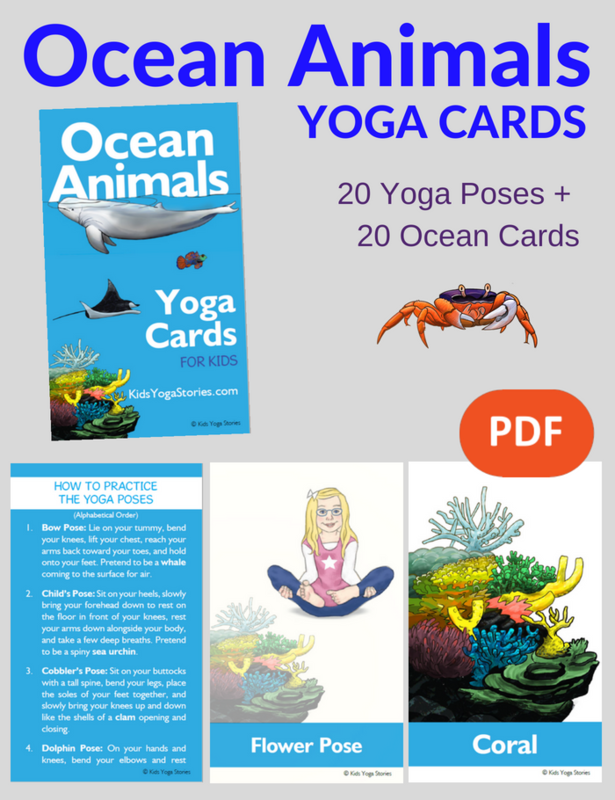 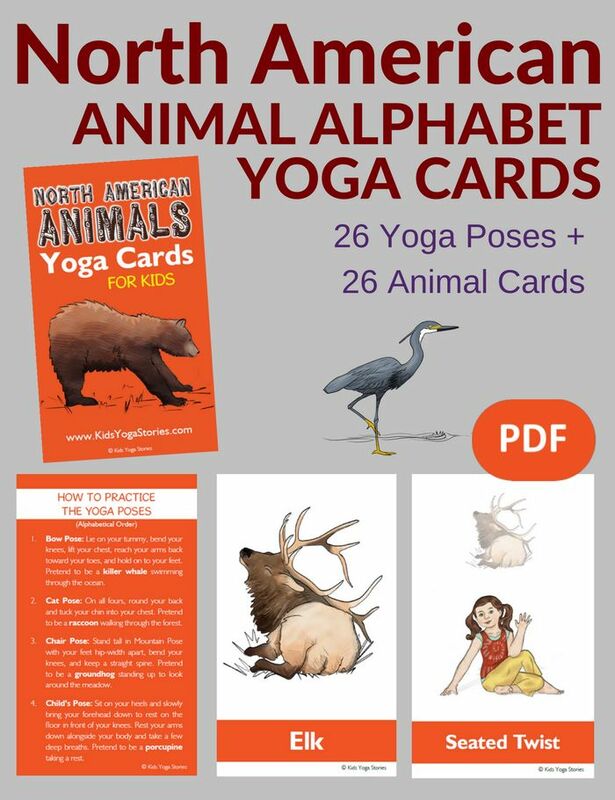 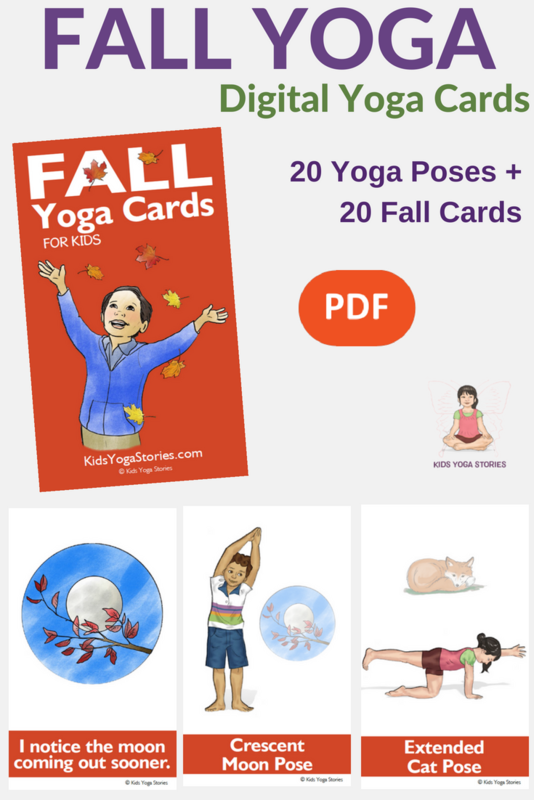 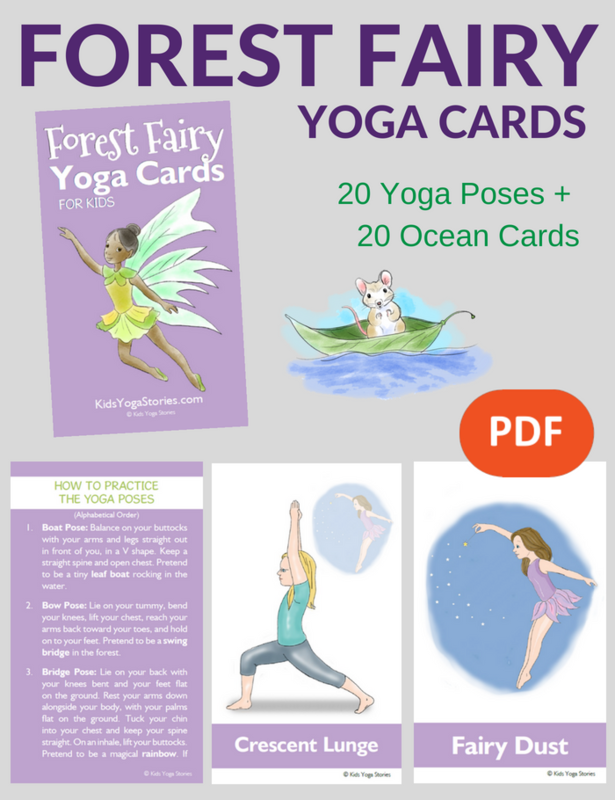 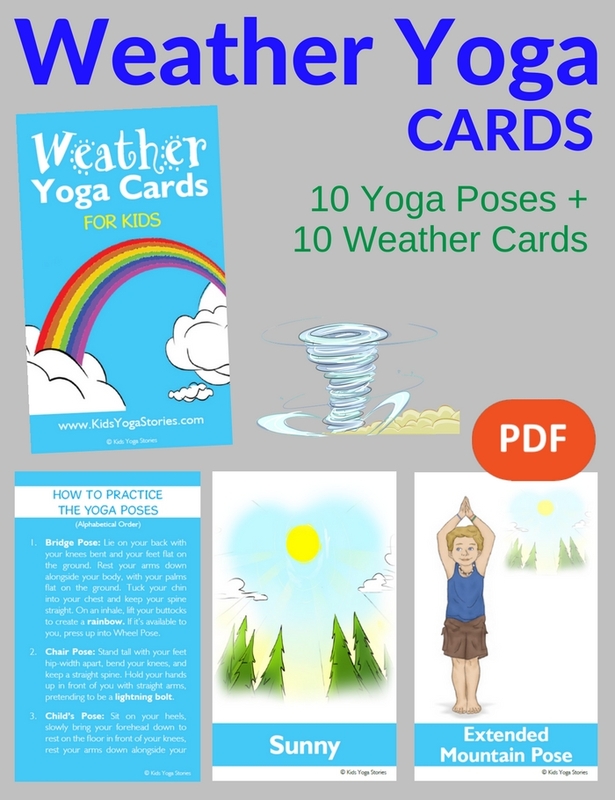 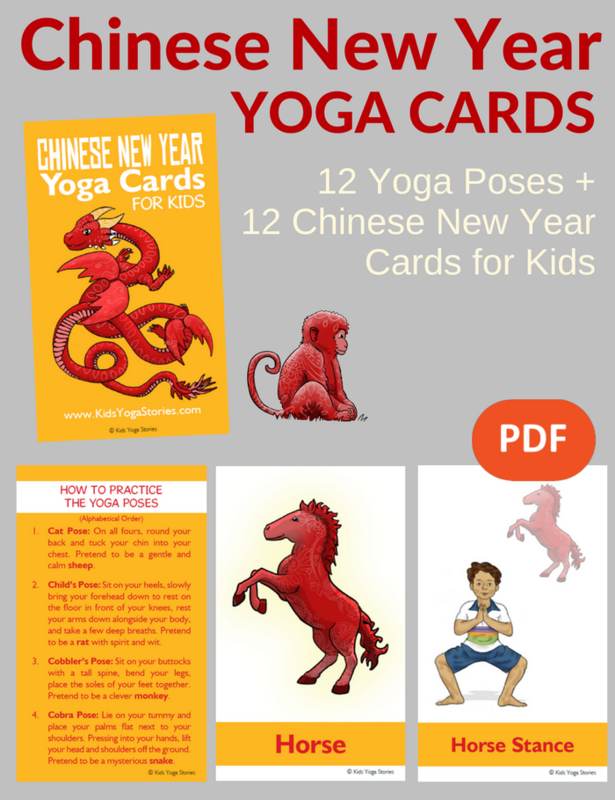 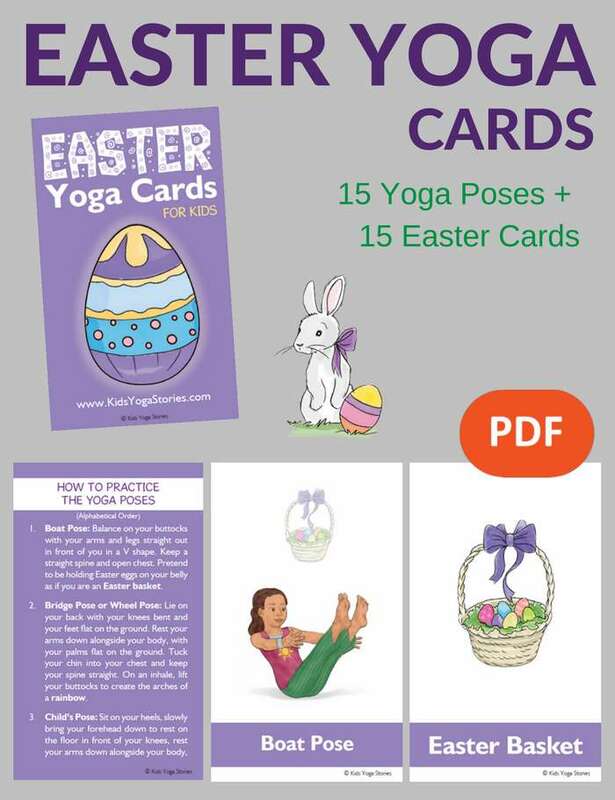 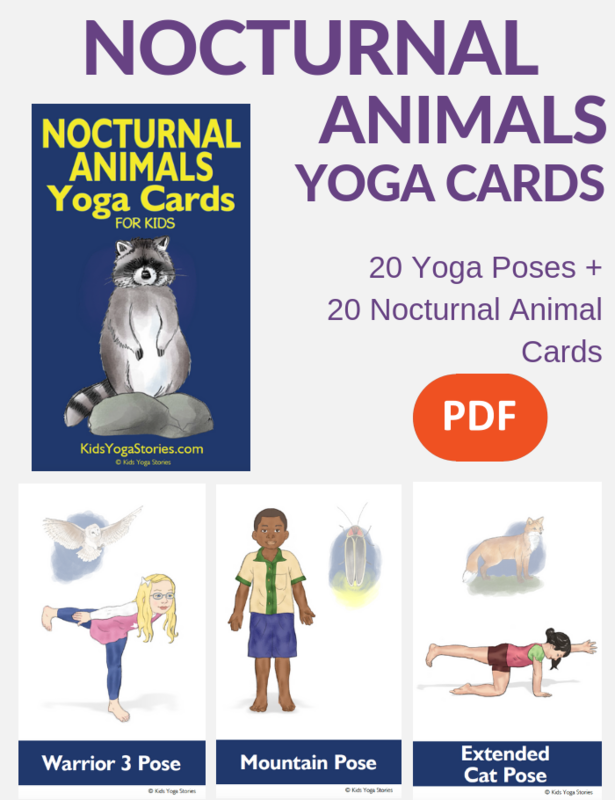 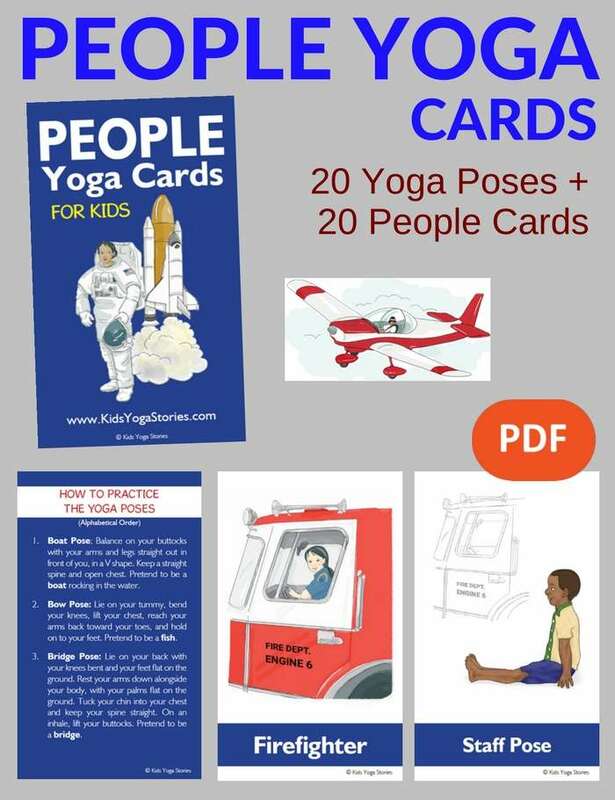 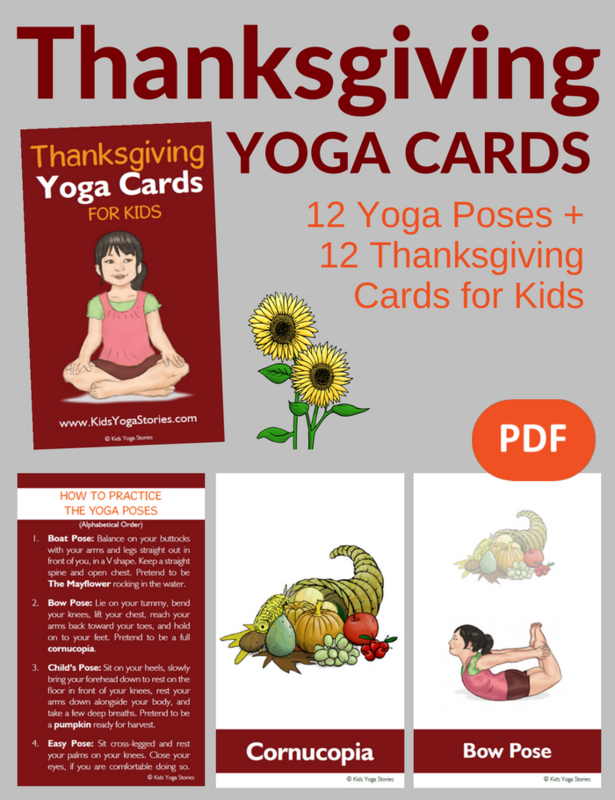 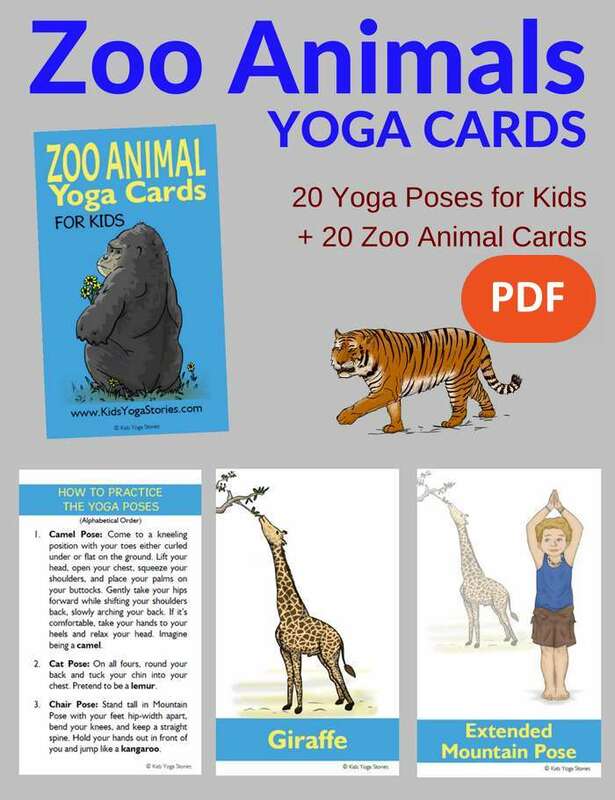 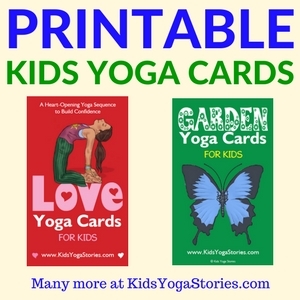 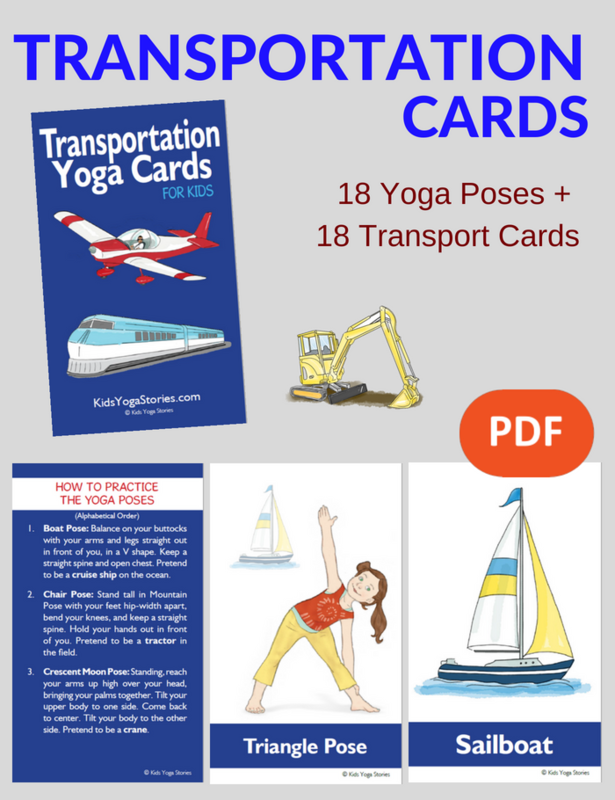 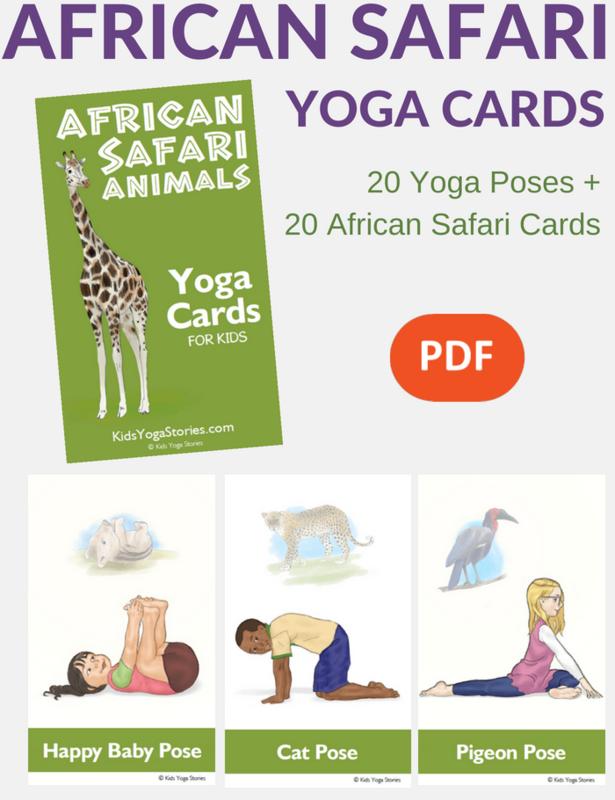 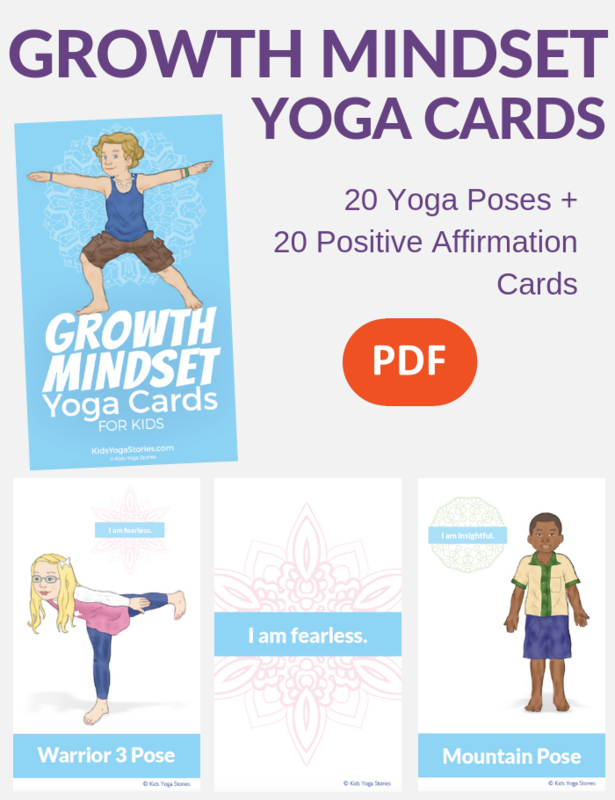 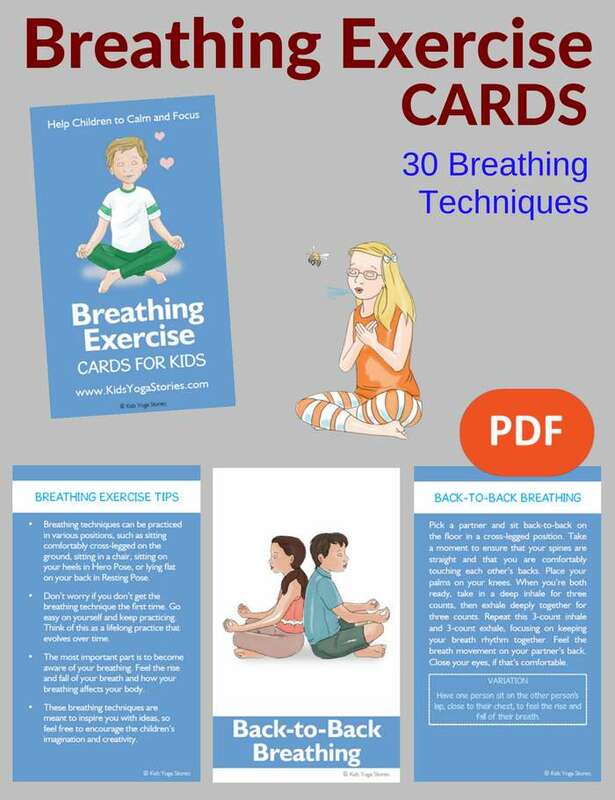 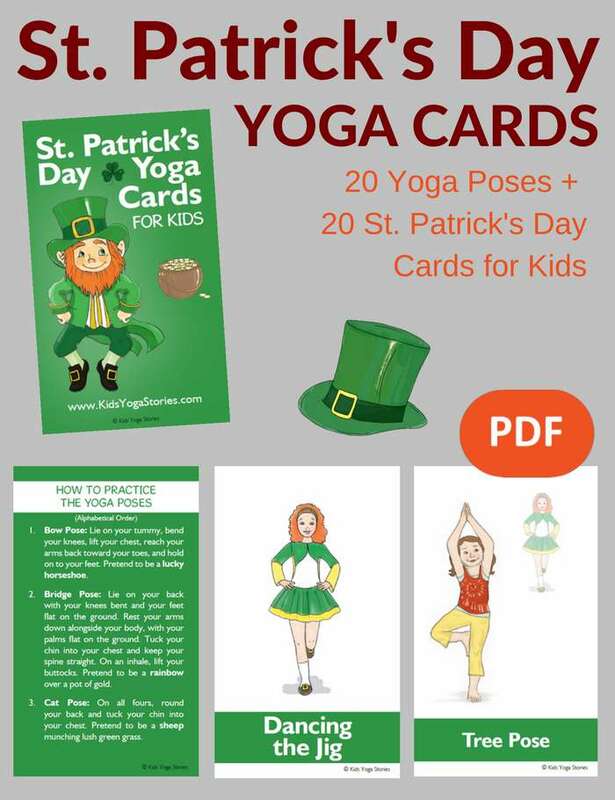 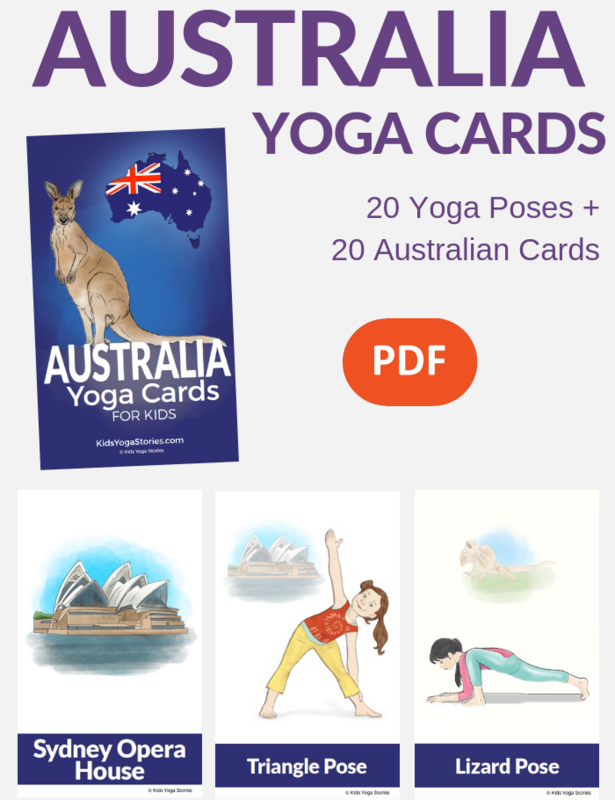 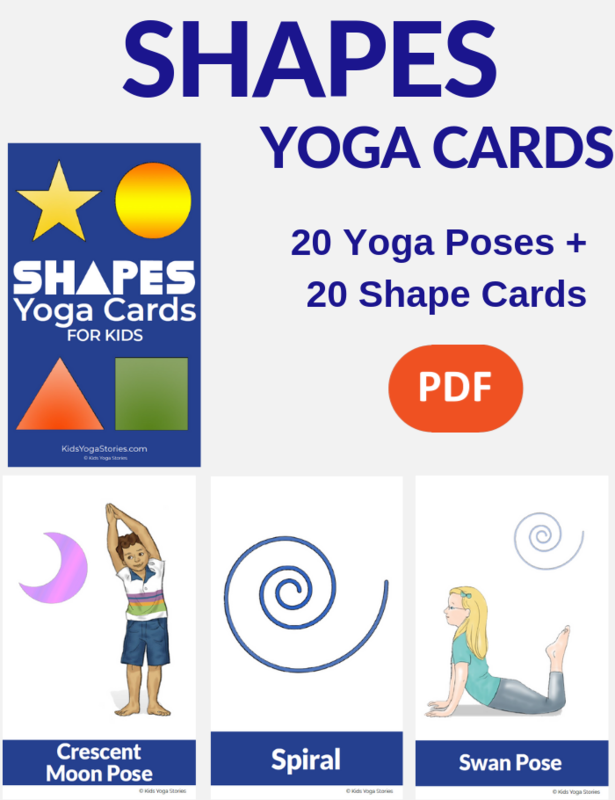 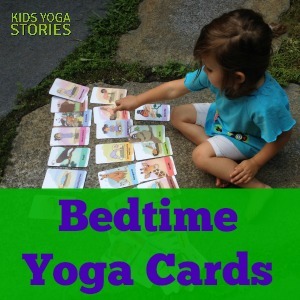 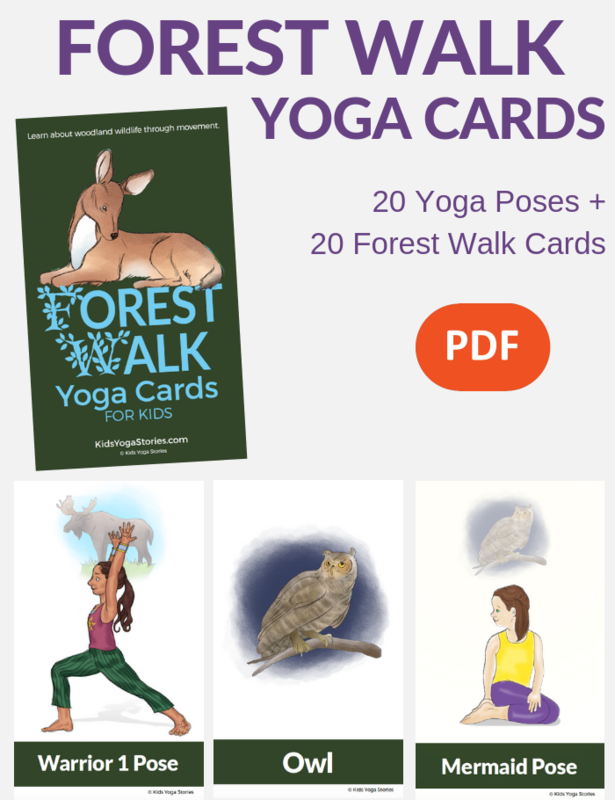 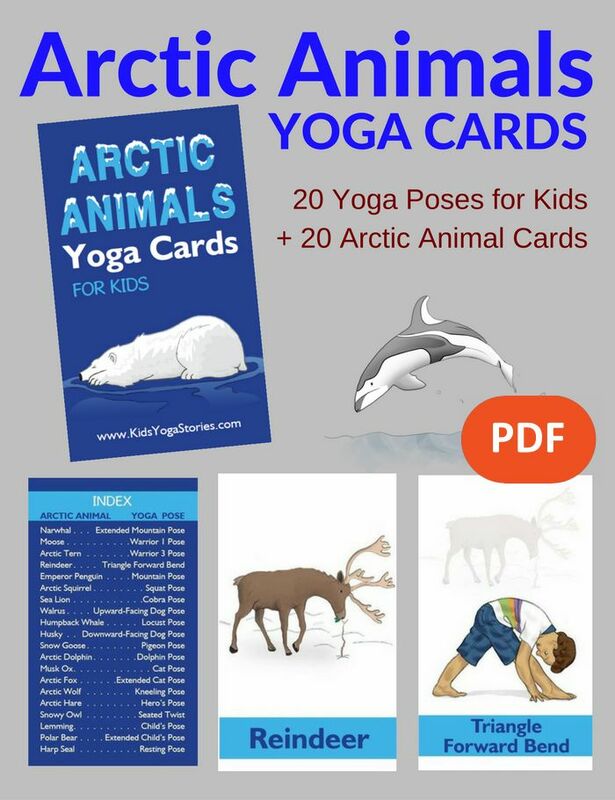 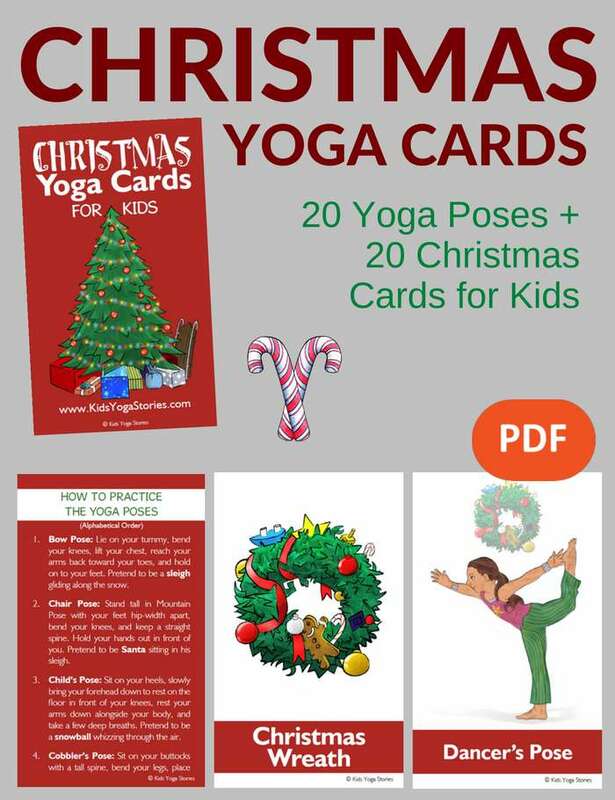 What Printable Yoga Cards for Kids Do You Offer? 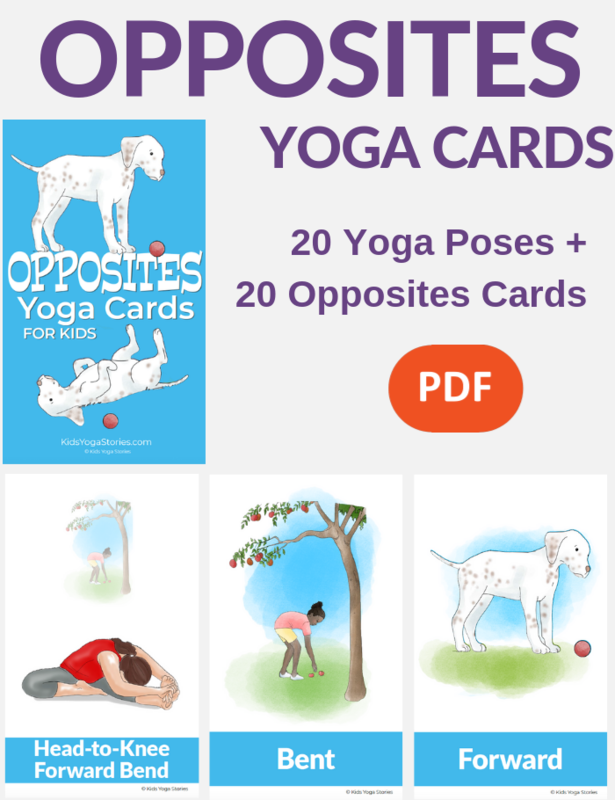 What if I’d like Yoga Pose Cards without the Themes? 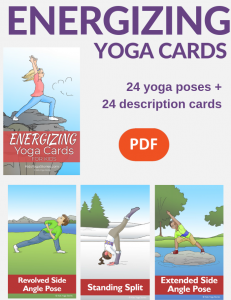 How Do I Print these Digital Yoga Cards? 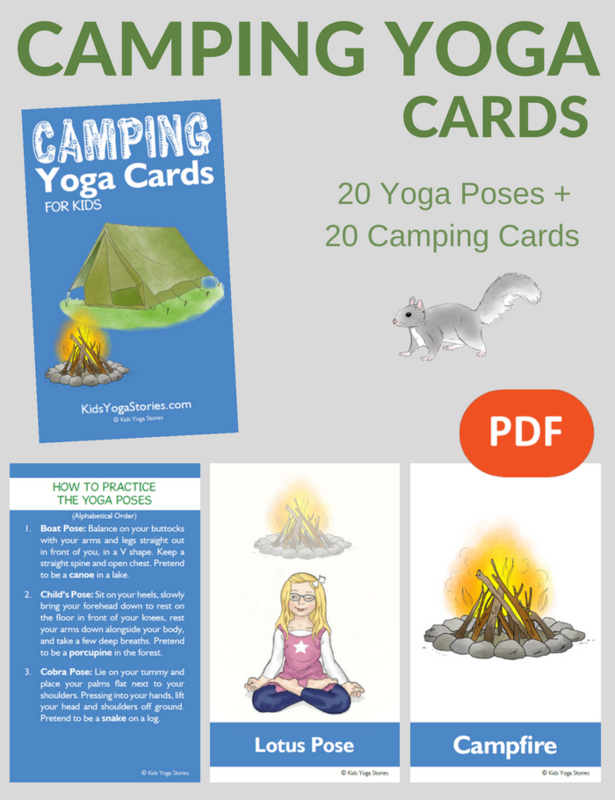 Download the PDF to your computer. 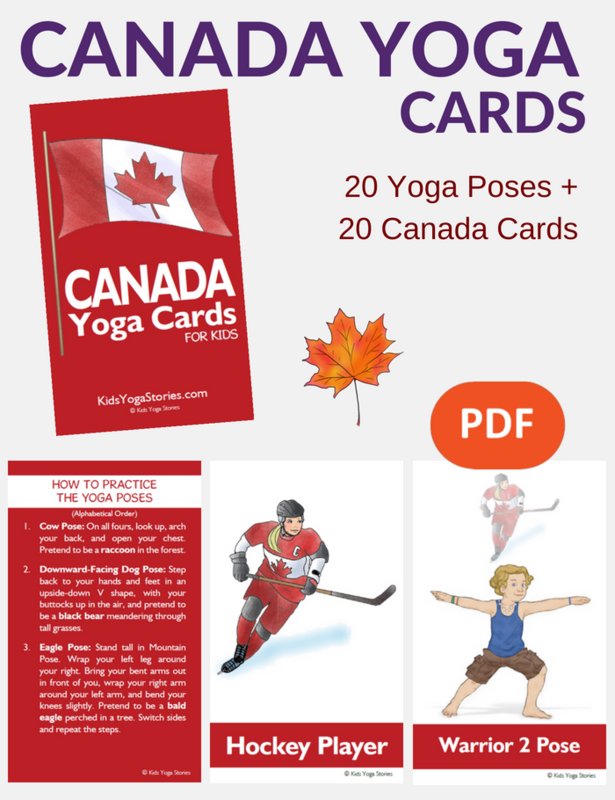 For further information and to see printed samples, see our Printing Instructions page. 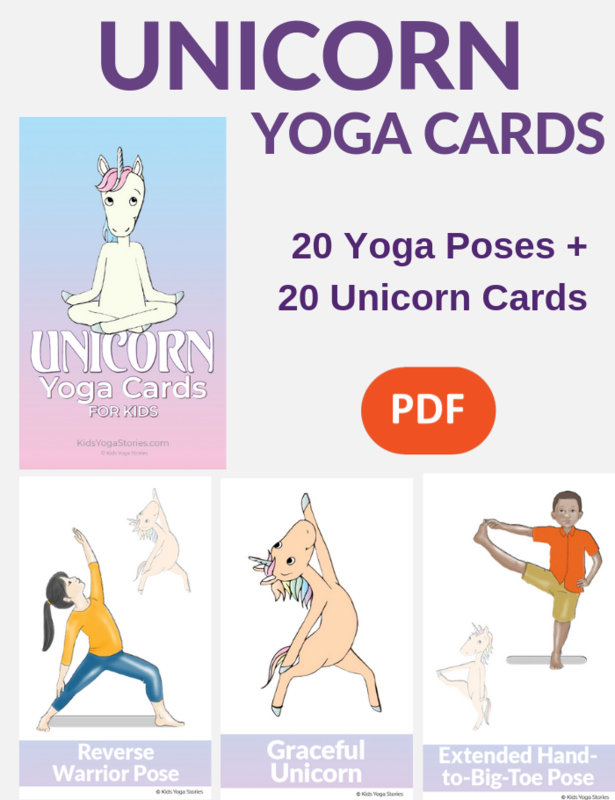 What are some Yoga Card Game Ideas? 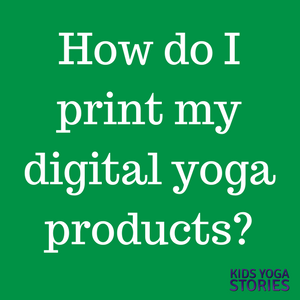 Please note: These digital products are for personal use only. 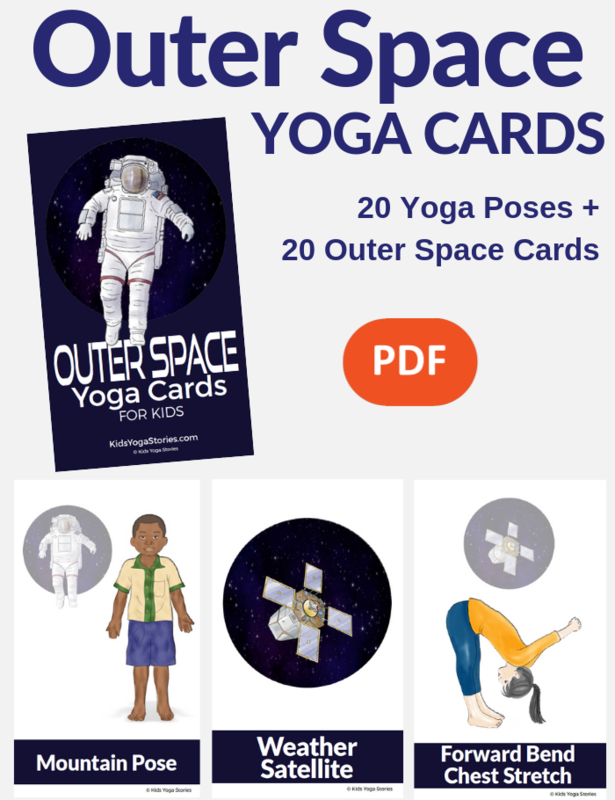 Please do not forward these files to anyone else. 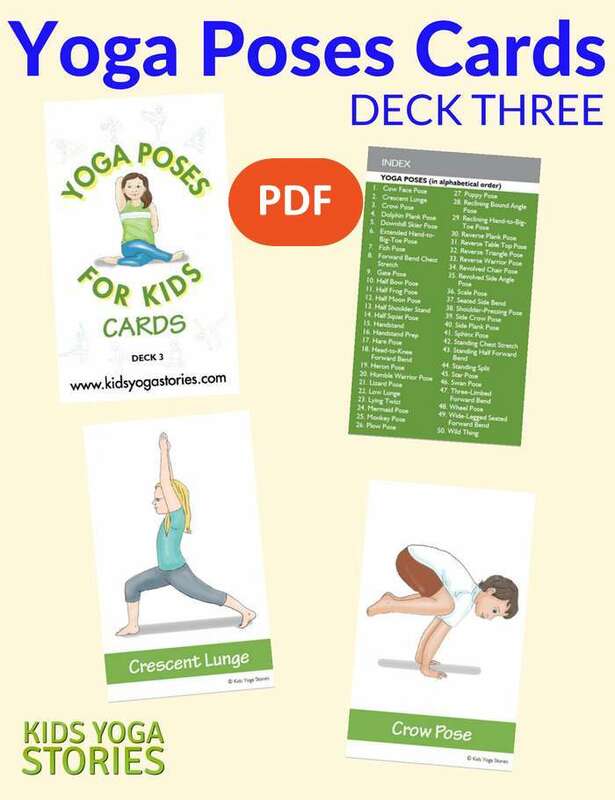 Personal use means non-commercial use of the PDF downloads for making prints or soft copy reference. 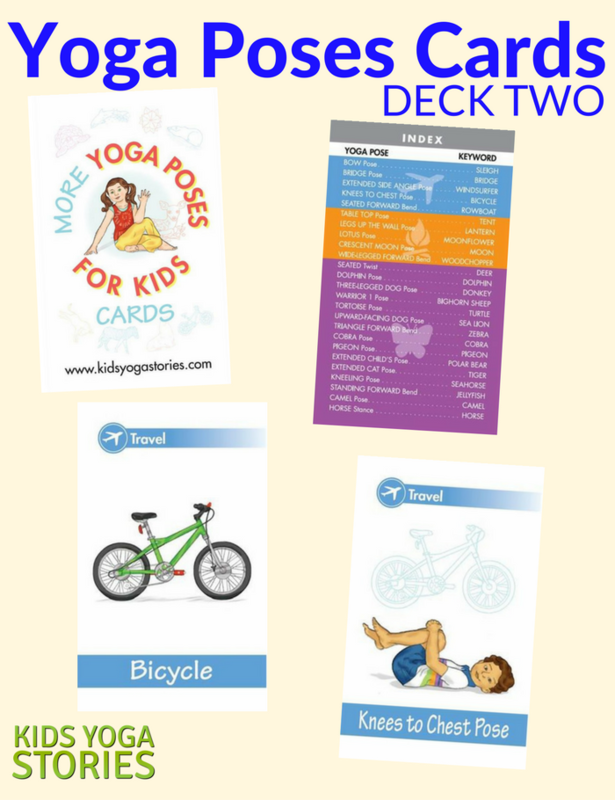 The digital files may not be used in any way whatsoever in which you charge money or collect fees.